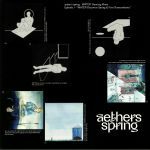 Review: A new project based out of Copenhagen - Aether's Spring comes shrouded in mystery but makes a bold statement with this first transmission. WATER: Dancing Moon 12" leads in with "House In Blue Rain," a downcast track bathed in melancholic pads and blown out percussion around a steady 4/4 tick. "Dancing Moon" is a more kinetic affair that works with all kinds of synth shapes alongside some primal drum machine percussion that lends the track a new wave quality that suits it just fine. 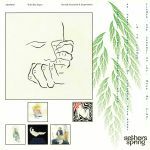 Closer "Throne Of Clay" spreads across the B side in a brooding, journeying epic fit for the likes of classic James Holden or a more wave-minded Jon Hopkins.